Even if you have an individual estate plan, it is not enough if you also own a company. Many different challenges can befall your family members or employees if you don’t have a business succession plan in place. In fact, up to 90% of businesses in the United States are owned by families but less than 10% of them will make it to the third year in the family and less than 33% will survive even into the second generation. Owners sit down in the business succession planning meeting to determine a plan to move forward in the event that an owner needs to leave the company due to illness, retirement or death. Estate planning strategies are customized in the business succession planning process and multiple options are evaluated with the help of a professional to ensure that there is a smooth transition in place. Common issues addressed in the business succession planning process include disagreements, estate taxes, management capabilities, liquidity and percentages of ownership. 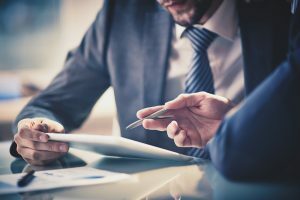 In addition to developing a comprehensive business succession plan, those key stakeholders involved are responsible for communicating this to the relevant stakeholders. Training of key team members needs to occur well in advance and should never be left until the last minute. Failing to have a plan can set the business up for a catastrophic problem and many business owners want to avoid this as much as possible. This business succession plan process is also an opportunity to figure out whether the family members that you anticipate taking over the company ae truly interested in doing so. If you discover that a child or other family members do not intend to take over the company, you can begin to make alternative arrangements. Schedule a consultation today with an experienced business succession planning attorney to learn more.